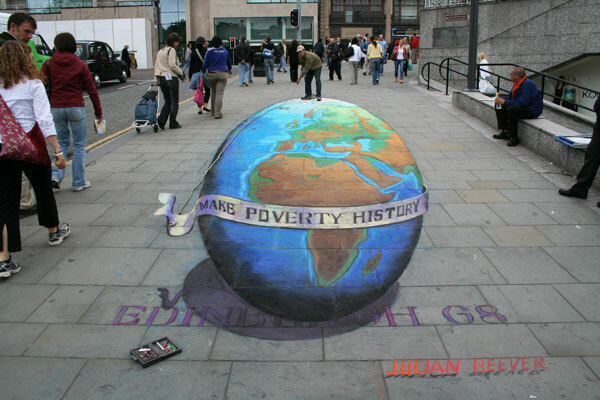 Julian Beever is not your typical artist. 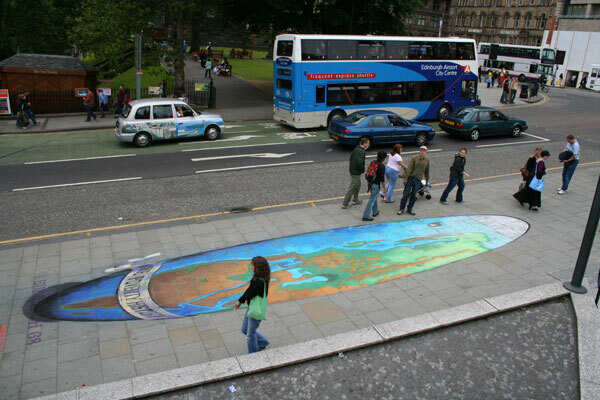 He is known for his pavement drawings, that have a 3D illusion when viewed a certain way. 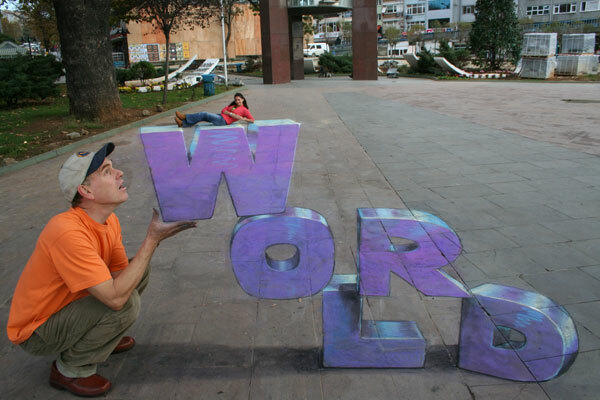 They do not look 3D to the naked eye, they can be viewed on a mobile phone, ipad or other screen, as well as a camera which he has set up on a tripod for people to look through. His drawings typically take 4 days to create. It is definitely all about perspective. 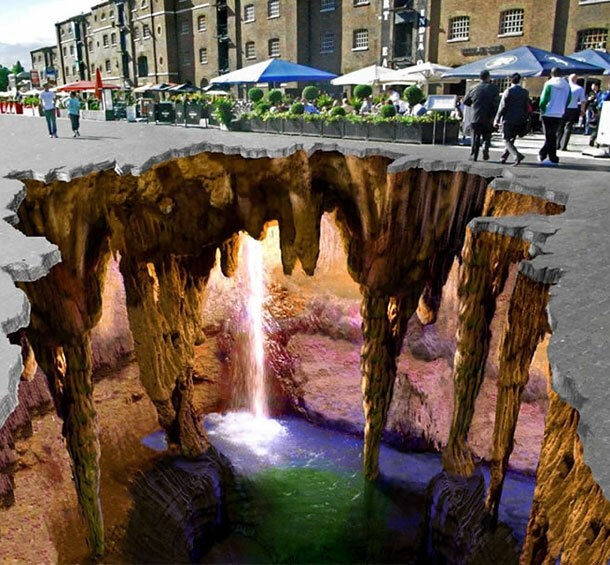 You can visit his website and view some of his 3D drawings here, or you can Google his name. He’s also compiled a book with his drawings in it. I think this would make an interesting coffee table book. These are just a few of his drawings. 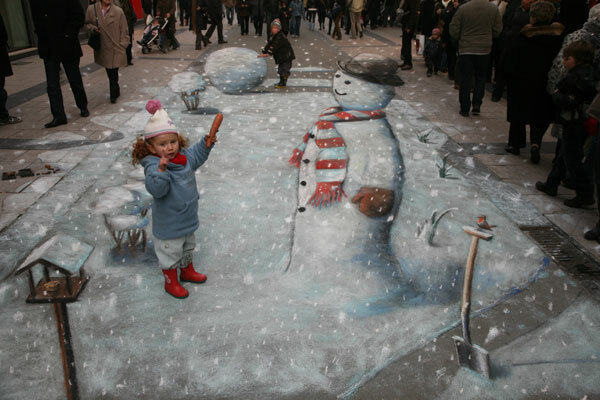 This entry was posted in Fab-ruary 2015 and tagged Julian Beever, Side Walk Chalk Artist. Bookmark the permalink. I have seen articles about him before. Absolutely amazing! Some folks are just beyond my brain talented!! I think these belong in the Coolest Things I have Ever Seen section as well. These are fantastic pictures…. and leave the pathetic RBS adverts at the Six Nations Rugby standing! Thank you for highlighting an incredibly clever guy…. how does he know what they need to look like when they’re flat? This was my second coolest thing I have ever seen, lol. When it rains, they are gone. He does photograph them. He sketches them out before he enlarges them. Oh and by the way…he is from the UK! !